Winston Churchill once described Russia as a riddle, wrapped in a mystery, inside an enigma. For some investors, the subject of real estate syndication is equally perplexing. While Churchill’s description of Russia remains apropos today, real estate syndication is actually straightforward. This article will define syndication, give you a bit of historical context, and describe best practices that you should look for when investing. Simply put syndication is a mechanism by which like-minded investors can pool or aggregate their capital to jointly invest in real estate opportunities. Rather than buy properties individually, these investors own fractional shares of an entity that owns the property. Syndicates provide investors with lots of advantages. They allow them to invest in larger properties they otherwise couldn’t afford individually. They also allow them the opportunity to leverage the knowledge, experience, and expertise of real estate professionals. Real estate syndication has been available in the U.S. for decades. It was pioneered in the 1930’s by real estate attorney Larry Wien. His work made it possible for groups of people to directly purchase income-producing properties for the first time. Wien’s most famous syndicated purchase came in 1961 when his group purchased what was then the tallest building in the world – the Empire State Building. He and his partners Harry Helmsley (Leona’s husband) and Peter Malkin created and named their legal entity Empire State Building Associates. They sold 3,300 units to investors for $10,000 per unit. In the end, they raised $33 million to buy the $65 million property. 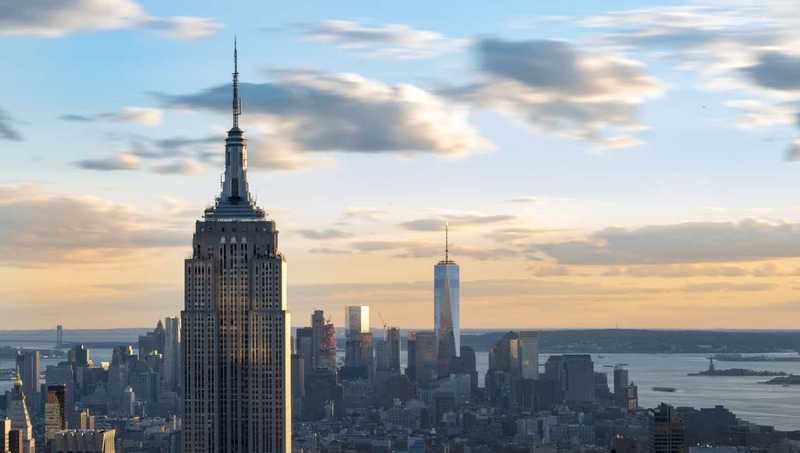 The seller, also a real estate syndicate, had previously purchased the Empire State Building in 1951 for $34 million. All across this great Nation, in every city of every state, private real estate investment groups utilize syndication to buy some of the biggest and best properties. With more than a trillion dollars of annual transaction volume involving real estate syndication, it can be daunting to find the right place to invest your money. And while there are several ways to structure these investments, there are still some universal best practices you should consider when doing your due diligence. As a passive investor in real estate syndication, you have the opportunity to invest with experts. While this may seem obvious, the reality is that the JOBS (Jumpstart Our Business Startups) Act of 2012 opened the floodgates to inexperienced, newbie syndicators. The JOBS Act essentially deregulated the real estate syndication industry leading to what is commonly referred to as crowdfunding. Crowdfunders are middleman marketers that raise money for newer syndicators. For a fee, these marketers match investors with syndicators. How well they vet those syndicators and their projects varies significantly from platform to platform. What is their transaction volume and assets under management? What is their track record? Know their best performing deal, worst performing deal, and everything in between. Do they have a fervent following of happy repeat investors that fund their investments quickly, or do they have to rely on crowdfunding marketers to raise money for them? How transparent is their reporting and will they provide you with references from their pool of investors? Real estate investments should be held within legal entities. Today, the most common structures you will encounter are Limited Liability Companies (LLCs) and Limited Partnerships (LP’s). In these legal entities, the sponsor is known as the general partner (GP) while the investors are designated as limited partners (LP). These legal entities provide significant asset protection, especially to the limited partners. Part of the sponsor’s duty is to create that legal entity. The sponsor will also create legal documents that are important to you. An operating agreement is a document that outlines the rules, regulations, and provisions that guide the internal operations of the entity. It spells out the parameters of which the general partner must operate. As a passive limited partner, you don’t have any management responsibilities, but you do have rights. The operating agreement spells out those rights. Be sure to evaluate that document prior to investing. Passive investing within a legal entity should shield the limited partners from both debt and legal liability. Just keep in mind that being passive should never mean you’re disinterested or uninformed. Another document you’ll encounter in real estate syndication is the private placement memorandum (PPM). The PPM contains an in-depth description of the investment offering. It’s commonly referred to as an offering memorandum and is similar to a stock prospectus. Contained within it, you’ll find a summary of the offering, terms of the investment, objectives, risks, management biographies, and performance history, among other things. These are extensive documents that you should digest slowly. Don’t be afraid to ask questions and be certain to understand the offering well. It’s a good idea to look at a previous PPM from that sponsor so that you can see if they’ve changed over time. If they have, be sure to ask why. Ultimately the PPM is meant to be a stand-alone document that contains all the information an investor would need to make an informed decision as to whether or not that investment is right for him or her. Since they are forward-looking statements, all investment projections require assumptions. Whether it’s stocks, bonds, or real estate syndication, assumptions are being made. When evaluating whether or not a real estate syndication offering is congruent with your goals, you need to understand the assumptions. The syndicator doesn’t have a crystal ball. They have to make assumptions. Nevertheless, their assumptions should never be guesses. Instead, they should be informed assumptions based on market past performance, current dynamics, and demographic trends. They calculate target returns or pro forma financials based on these assumptions. These forward-looking projections can be helpful, but they can also be misleading. Unscrupulous sponsors may project sky high target returns in an attempt to induce you to invest. However, what good are those target returns if they can’t hit them? For that reason, you should always evaluate target or pro forma returns in conjunction with the syndicators actual past performance. Don’t hesitate to ask them for the target returns and the actual returns from their previous projects. If you find that their actual returns consistently underperform their target returns, then you know that they’re assumptions are unrealistically high. Conversely, a company that consistently meets or exceeds their target returns utilizes conservative assumptions that are more reliable. This is good information to have before you make an investment. Contained within the PPM is the distribution waterfall. The waterfall describes the way that capital is distributed between the limited partners and the general partner throughout its years of operations and upon disposition. There are several ways that the waterfall can be structured, but in general two concepts are important. First, the limited partners should receive the bulk of the profits. Second, the majority of the general partner’s compensation should be tied to their performance. When done right, that aligns the investor’s compensation with the syndicator’s compensation. While not everyone does this, quality real estate syndication means that the syndicator’s compensation is predicated by making money for the investors. Performance hurdles or preferred returns are a good way to accomplish that. Real estate syndication varies from group to group. As such, it’s important that you match your goals with the syndicator that best suits you. It’s best you understand the private real estate company’s strategy including its exit plan. Do they specialize in short-term opportunistic fix and flip or are they long-term holders that specialize in value-add real estate? Another consideration is how tax efficient is their investments? Do they utilize 1031 exchanges to defer taxes or will you incur a tax hit whenever they sell your property. There is no one size fits all strategy. The most important thing to do is to match your goals with the syndicators approach and capabilities. Commercial multifamily real estate can be a lucrative investment. And real estate syndication allows individual investors to participate in larger, more stable, multimillion-dollar properties that they otherwise couldn’t afford. Syndication in the United States has been around for almost a century now. The key to finding a high quality professional private equity firm that offers real estate syndication is to arm yourself with knowledge. I hope this article helps you better understand real estate syndication. If you’d like to learn more, I’d highly recommend you watch the webinar – Introduction to multifamily investing. Be sure to also read our top 10 real estate investing tips. And to learn more about investing with 37th Parallel Properties, click this link.